Samuel Hoffman | The Journal Gazette Fort Wayne police work the scene of a standoff Monday afternoon near Washington Center Road. Samuel Hoffman | The Journal Gazette FWPD officers wait for orders to move in at the scene of a standoff near East Washington Center Road and Stoney Creek Drive, Monday. Samuel Hoffman | The Journal Gazette FWPD officers head toward a standoff near East Washington Center Road and Stoney Creek Drive, Monday. 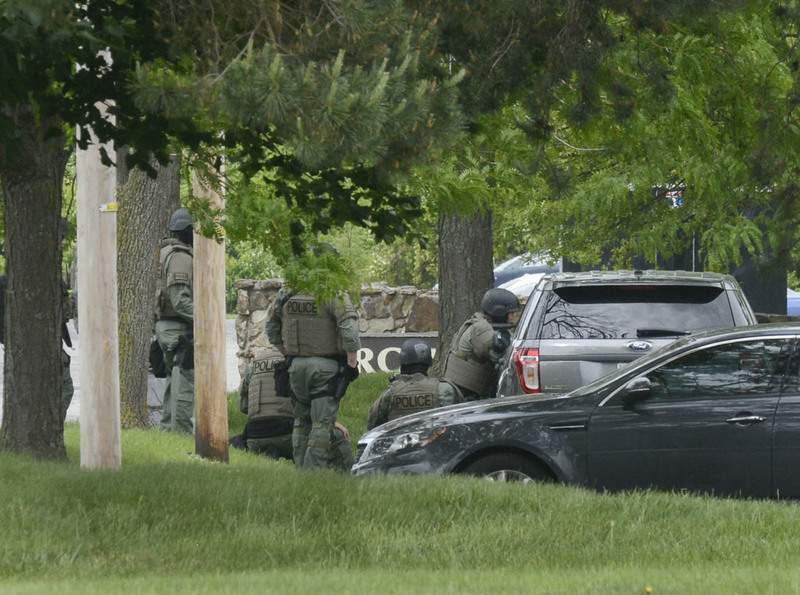 A major section of Washington Center Road was closed for more than an hour Monday afternoon as the Fort Wayne Police Department, the emergency services team and hostage negotiators dealt with a man who refused to get out of his vehicle after a traffic stop. According to police spokesman officer Michael Joyner, the incident began just after 1:30 p.m. after a man threatened to commit suicide with a firearm. When police were dispatched to the home in the 500 block of Essex Lane, they found he had just broken up with his girlfriend. At some point, the man, who was believed to be armed with a handgun, left the home and began driving recklessly. He was pulled over by police driving east on Washington Center Road just after 2 p.m., Joyner said. Because of the nature of the previous threat, and the belief he was armed with a gun, police officers performed a tactical felony traffic stop, he said. But the man, who was not identified Monday afternoon, refused to get out of his vehicle, which was now parked on the curb in front of Agaves Mexican Grill, 212 E. Washington Center Road. 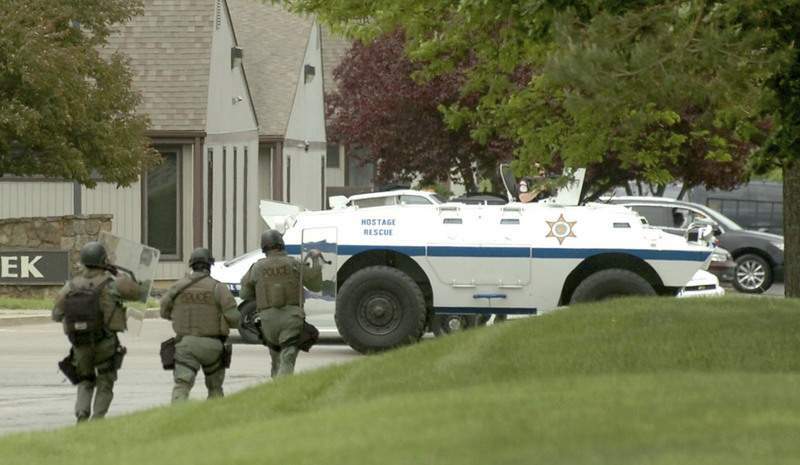 The Fort Wayne Police Department’s Emergency Services Team, or SWAT, along with hostage negotiators, responded to the area. Washington Center Road was closed to traffic west of Coldwater Road, Joyner said. As the situation dragged on for about an hour, gawkers and passers-by stopped to take pictures with their cellphones, watching from open car doors a few blocks away. Early on in the standoff, police officers had to deal with onlookers on the sidewalk and streets near the vehicle. 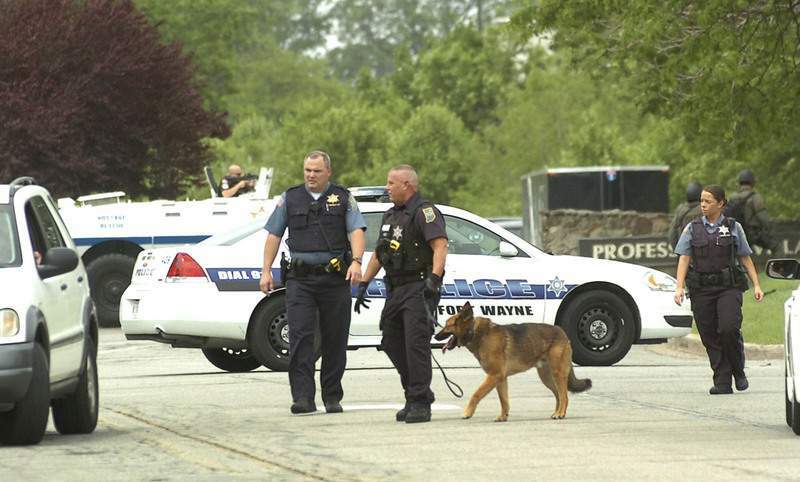 The standoff occurred near many restaurants, a movie theater and an apartment complex. "It’s a huge task, to manage that many people who are nearby," Joyner said. "We have to think about potential dangers to the public." At 3:05, the man surrendered to police and was taken into custody for a mental health evaluation, Joyner said. Students at Northwood Middle School, a few blocks east on Washington Center Road, were held at the school until about 3:15 p.m., according to Fort Wayne Community Schools spokeswoman Krista Stockman. Typical dismissal time for the school is 2:25 p.m. Officials were making plans on how to deal with students from other schools who lived in the area of the standoff, but the situation was resolved, she said.